Learn how to take the bold yet intelligent risks that will help you thrive in business--and in life.How can you challenge and change yourself when you need it most? We're creatures of habit, programmed by evolution to favor the safe and familiar, especially when the stakes are high. This bias no longer serves us in a world of constant change. In fact, today, safe thinking has become extremely dangerous.Through stories of trailblazers in business, health, education and activism, and leveraging decades of research into creativity and performance, Jonah Sachs reveals a path to higher performance and creativity for anyone ready to step out of their comfort zone. He introduces troublemakers willing to challenge corporate culture like the executive who convinced CVS to drop its multibillion-dollar tobacco business. She now leads the pharmacy giant. Readers will get firsthand accounts of breaking from the status quo from a Nobel prize winning doctor who nearly got himself thrown out medicine, a two-time NBA championship coach who brought joy back to his team by tuning down the focus on competition, a CEO who rebuilt her reputation and life from the ashes from one of the biggest flops in internet history and a Colombian mayor who started an incredibly successful career of political reform by mooning an angry crowd.Unsafe Thinking is full of counter-intuitive insights that will challenge you to rethink how you work. You'll learn: Why your area of deep expertise is often where you'll find your biggest blind spots Why anxiety can be fuel for creativity When to trust intuition and when to challenge it How collaborating only with those that share your values stunts your creativity How to build an organization that embraces intelligent risk. 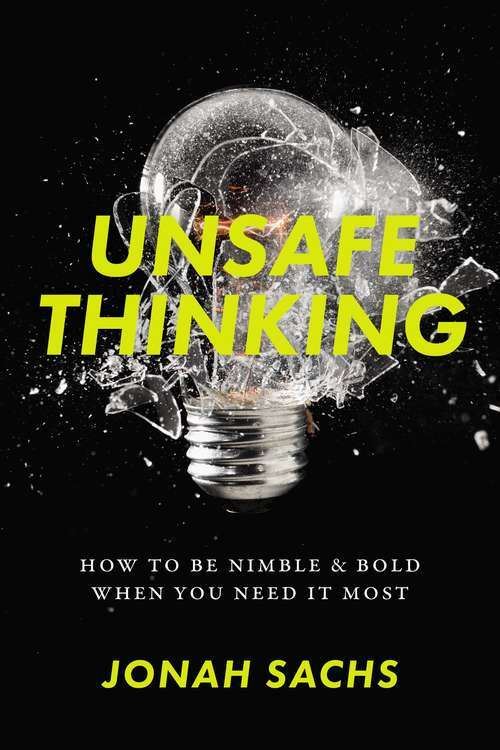 An inspiring and accessible read, Unsafe Thinking has the power to change both the way you approach your work and your life.